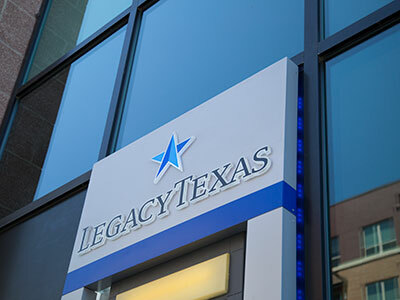 Legacy Texas is a commercially oriented, North Texas community bank that has served local entrepreneurs, businesses and families for more than 60 years. With more than $6 billion in assets and 47 locations in 19 North Texas cities, they’re also one of the largest locally based banks in the area. In addition to commercial banking, business banking and consumer banking, the bank offers a full range of financial services.